Master the skills and knowledge to plan and execute a deployment of iPads that will suit your school and your classroom. 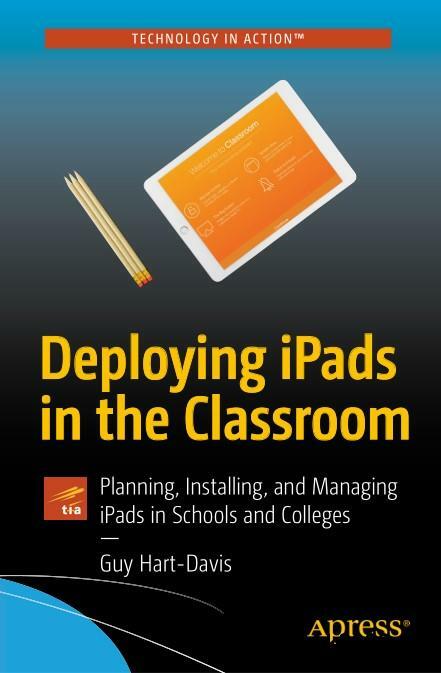 This book helps you evaluate your various options for deploying iPads-from configuring the tablets manually, through using Apple Configurator for imaging tablets, to subscribing to the heavy-duty Apple School Manager web service-and then shows you how to put your chosen approach into practice. Step-by-step instructions and practical examples walk you through the key questions you need to answer to get the most from your IT investment and then show you how to turn your decisions into deeds. The iPad is a wonderful device for helping students to study more comfortably and learn more quickly. Apple's popular tablet enables you to put in each student's hands a full-power computer that enables her to access resources both on the school's network and on the Internet; communicate via email, instant messaging, and video chat; and create digital content that she can submit effortlessly to your online marking system. Students love using the iPad-perhaps even more than teachers do!